UPDATE: Analysis from Vice President of Industry Analysis at AutoPacific Ed Kim added to the story. A looming trade war with China could be seriously bad news for the American car industry. 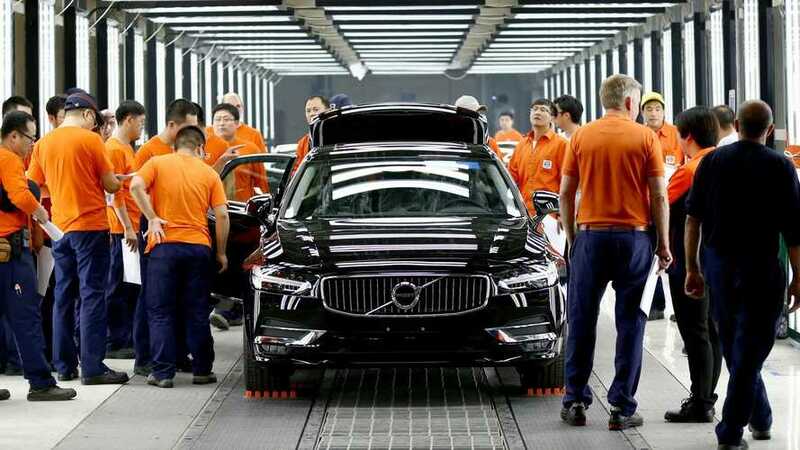 In retaliation for a recent proposal to increase tariffs on products coming into the U.S. from China, the People's Republic is threatening similar measures, and they would cover American cars. President Trump initially proposed the tariffs on roughly $50 billion of goods coming into the United States from China. The items included a variety of important car parts like torque converters, catalytic converters, lithium batteries. It also affected whole vehicles like buses and motorcycles. China quickly responded to the proposal by suggesting tariffs on $50 billion American products, including cars and planes. President Trump refuses to call this a trade war, although it's hard to imagine a better description. China chose the products potentially to tariff very specifically, according to the New York Times. The goods especially come from Republican-led states possibly because the politicians there might have the best chance to dissuade President Trump from pushing forward with his plan. The potential effects on the auto industry of either country still aren't clear in part because these plans remain proposals for now. There's still a chance for the two sides to negotiate changes. "Important to note that the tariffs are proposed at this point. There remains time for negotiation, though it is reasonable to expect some form of tariff will be enacted," IHS Markit Senior Analyst Stephanie Brinley told Motor1.com. If these proposals go into practice, there could be rough times ahead for American brands. "None of this is good for the automakers, who are rapidly becoming more and more globalized and depend on global supply networks to operate profitably," Ed Kim, Vice President of Industry Analysis at AutoPacific told Motor1.com. "Note that General Motors released a statement this morning imploring cooler heads to prevail on both sides. GM already imports two models from China into the U.S. and Ford will soon import the Focus, and both export significant volume from the U.S. to China. Additional trade war bickering could destroy the business models for many vehicles." Tesla is the among the brands at risk of higher tariffs. China is a major market for the electric automaker, and it already has to deal with the existing import duties of sending models to the country.